New deal means Apple will be wholly powered by the sun in the U.S.
Apple announced this week that it wants to drastically cut its power grid consumption, and it's turning toward the sun (and its deep pockets) for the solution. Confirmed yesterday (along with its Apple has signed a contract with First Solar worth roughly $850 million. 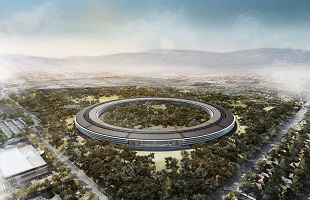 The deal means virtually every aspect of Apple's footprint in California will be powered or offset by solar power -- from its HQ campuses in Cupertino, down to its retail stores in the state. Even its new data center will be powered by the big yellow ball of gas in the sky. This is the biggest solar power purchase on record not made by a utility company, according to Bloomberg. And this isn't a purchase of existing infratructure; rather, First Solar is building a brand new solar farm, one that will produce enough power (130 MW) to power roughly 60,000 California homes. The new farm will be located in Monterey, California. While this new solar plant is the biggest in Apple's portfolio, it's not the first. Three smaller solar farms power Apple-owned infrastructure, including a recently completed project in North Carolina. Apple isn't the only tech giant to sign massive renewable energy deals. Google has roughly one gigawatt of wind power at its disposal, while Microsoft has access to about 285 MW.